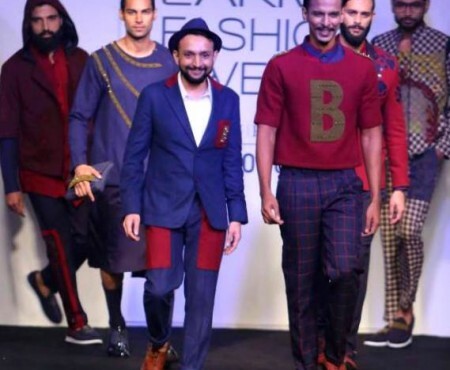 Showstoppers, Bollywood stars on the first row, product launches by sponsors, opening show and grand finale are usually the highlight of Lakme Fashion week. 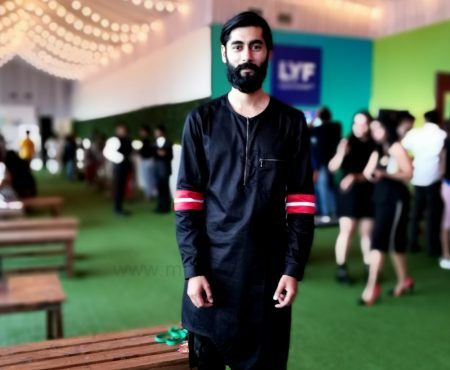 And then there are the next gen designers, who are changing the face of Indian fashion industry with their maverick drapes, minimal silhouettes, raw and fresh textures, monochromatic palettes, unconventional patterns and maximised detailing. 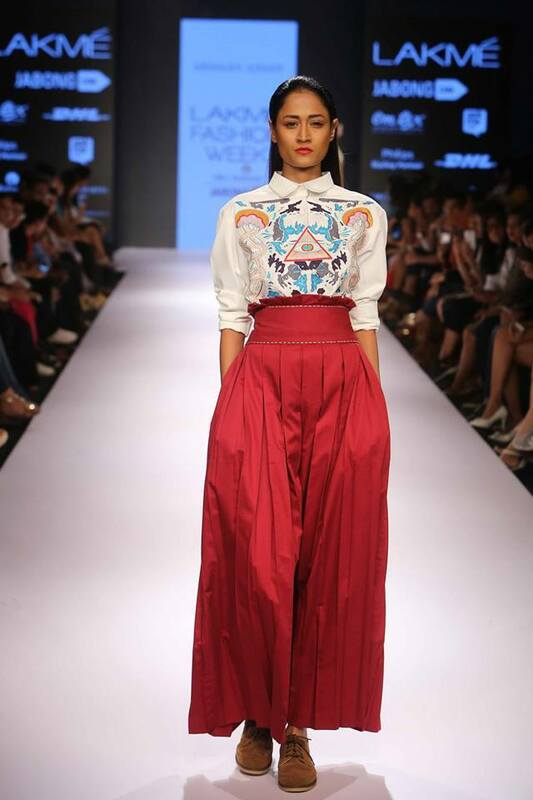 Here is list of designers and garments which caught our eye and made it to our wardrobe lust list. 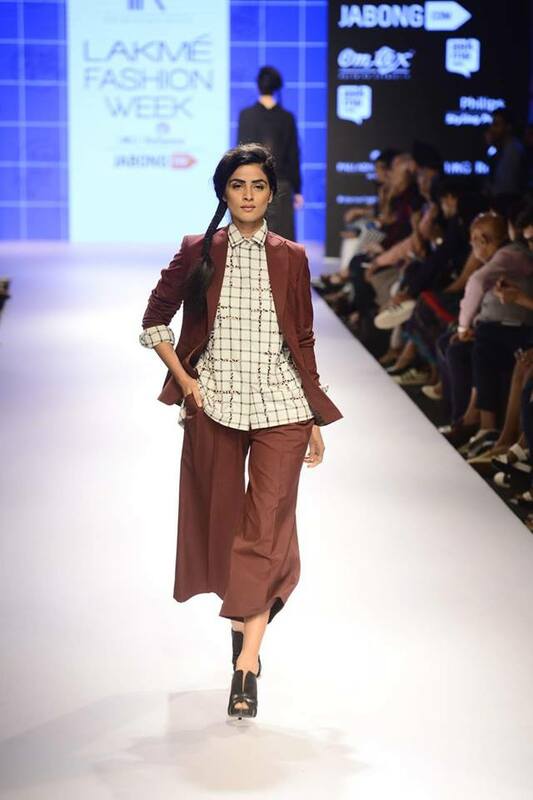 It is difficult to pick a favorite from Armaan Aiman’s collection for me, every piece is exquisite, wearable and easy to mix and style as separates. Minimal silhouettes, mix of hard and soft drapes, fall color palette in blues and ox blood with the eclipse as the central motif. My lust list from the collection are the belted ox blood trench coat dress, embroidered shirt with high waist ox blood pleated trousers and the bomber jackets and drawstring shirt dress. Haha, as you can see almost everything from this collection is on my list! 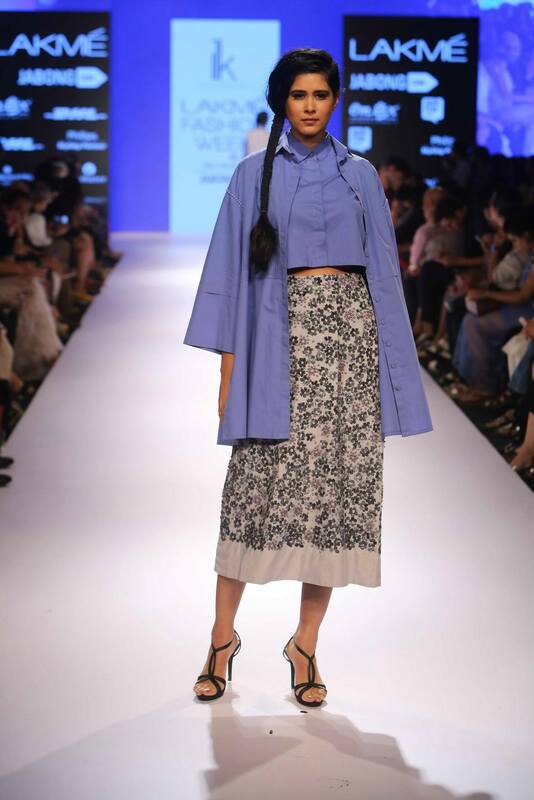 Juxtapose of tangled threads, check saris on unconventional shirt blouse and jackets, grey and plum palette, detailing, embellishments and sheer accents was what made ILK by the designing duo Shikha Grover and Vinita Adhikari stand out. 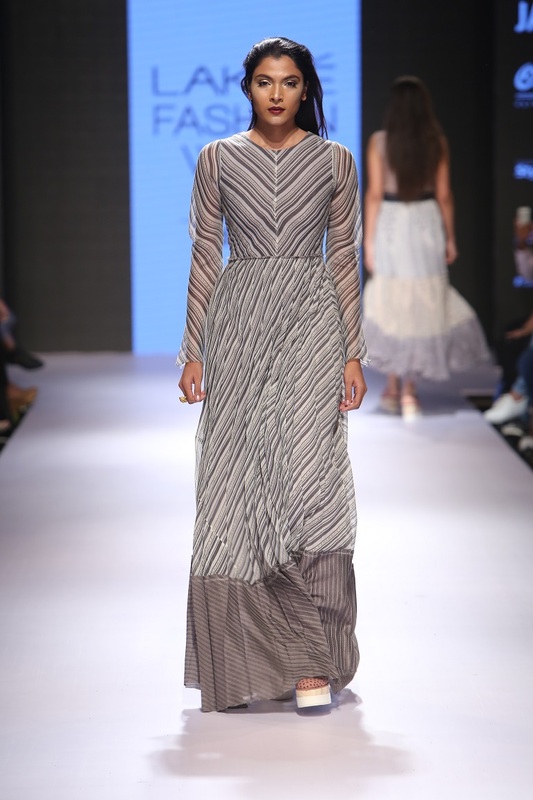 Inspired by the words Perception – Deception the pair called their collection “Error 508: Loop Detected” and carried their signature applique motifs and translucent fabric. I wore my absolute favourite from the collection an embellished grey skirt to Fashion week. 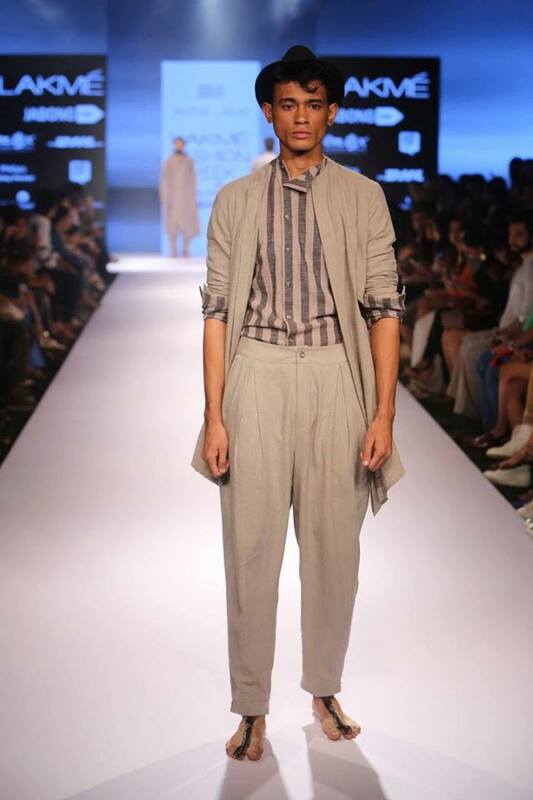 Pranav and Shyma, the due behind Heumn are the masters of linear silhouettes, luxurious fabrics and their fall / autumn collection combines feminine separates and masculine fabrics to create brilliant androgynous designs. If there is an LBD to own this fall it is should be this neoprene handmade dress with chevron stripes from Heumn. 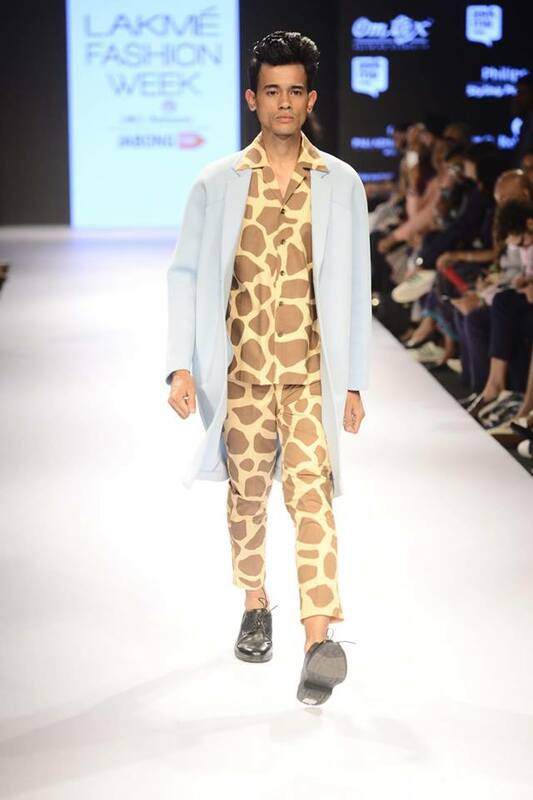 Won’t be surprise to see Ranveer Singh wear this giraffe print safari suit soon. 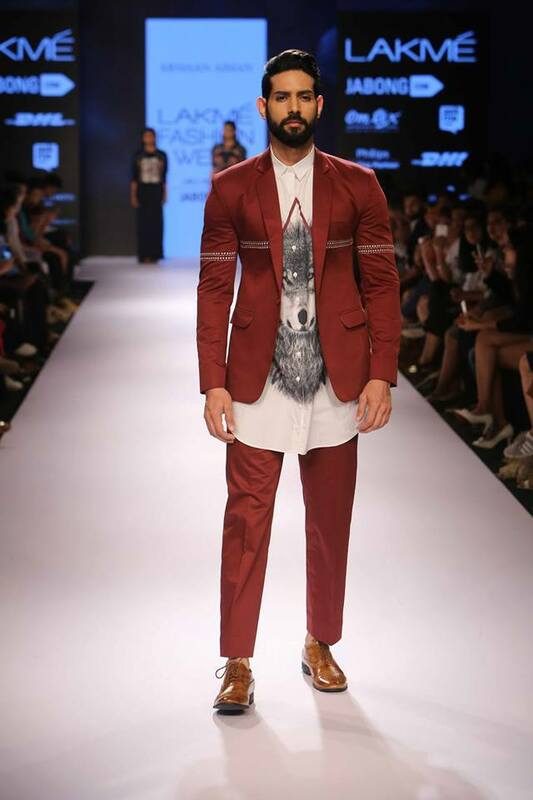 Raw fabric, dark color palette, exquisite drapes and fierce silhouettes, Ujjwal Dubey doing what he does best, raw and fresh take on menswear. Keeping the construction sharp with draped silhouettes and fluid fabric in black, grey and beige with a bucket load of patent for men’s and women’s wear. 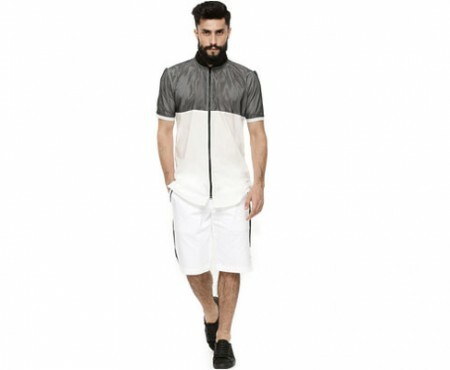 My lust list from Antar Agni is the pencil skirt with patent leather detailing. 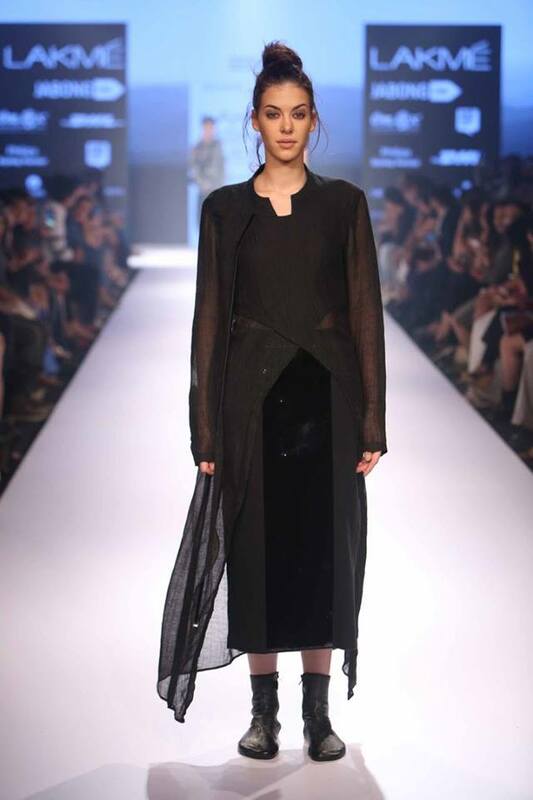 Contemporary silhouettes and tradition fabric, volume and construction were juxtaposed with the use of sheer and opaque textures. 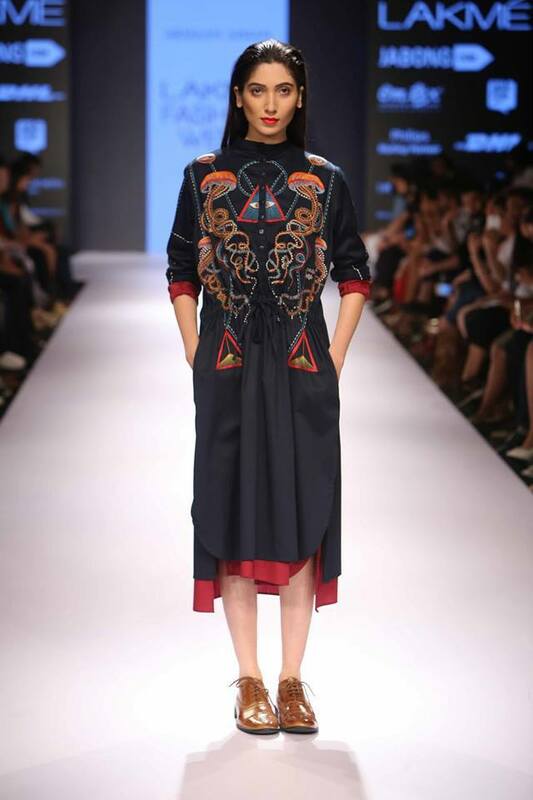 ‘Pathika’ by Urvashi Kaur that literally translates into the traveller, brought to life the hidden wanderlust to anyone who dares to wear. 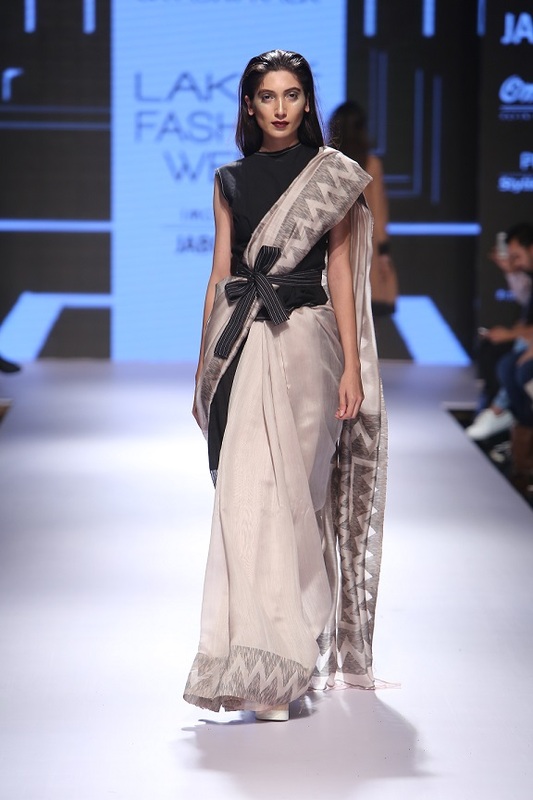 Silhouettes included Kimono style wraps, wide legged pants, tunics, chevron maxi , asymmetrical jumpsuit and Obi-belted sleek saris.